Western blot analysis of 3T3 cell lysate probed with Rabbit anti CREB1 antibody (AHP2300). 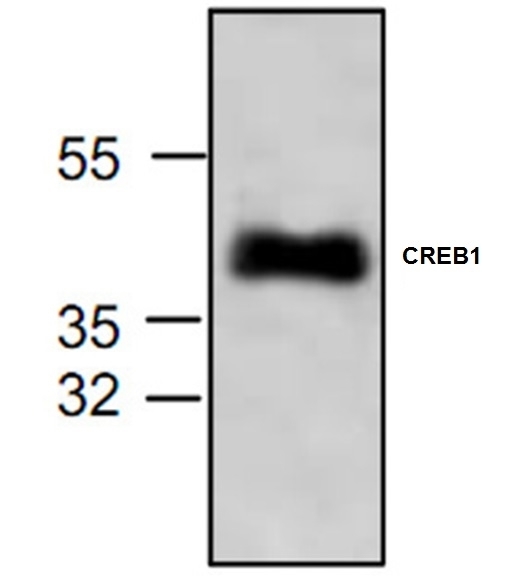 Rabbit anti CREB1 antibody recognizes cyclic AMP-responsive element-binding protein 1 (CREB1). CREB1 is a transcription factor that has been implicated to play a role in the differentiation of adipose cells.